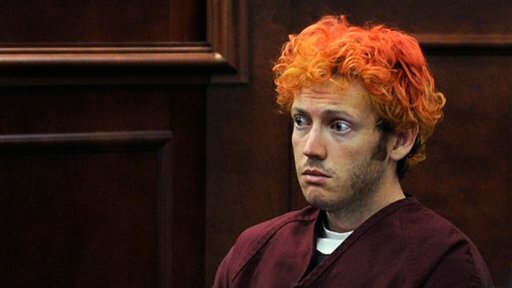 Killer James Holmes sent a notebook “full of details about how he was going to kill people” to a University of Colorado psychiatrist before the massacre last Friday. James Holmes, the accused gunman in last Friday’s midnight movie massacre in Colorado, mailed a notebook “full of details about how he was going to kill people” to a University of Colorado psychiatrist before the attack, but the parcel sat unopened in a mailroom for as long as a week before its discovery Monday, a law enforcement source told FoxNews.com. Police and FBI agents were called to the University of Colorado Anschutz medical campus in Aurora on Monday morning after the psychiatrist, who is also a professor at the school, reported receiving a package believed to be from the suspect. Although that package turned out to be from someone else and harmless, a search of the Campus Services’ mailroom turned up another package sent to the psychiatrist with Holmes’ name in the return address, the source told FoxNews.com. A second law enforcement source said authorities got a warrant from a county judge and took the package away Monday night. When it was opened, its chilling contents were revealed. Among the images shown in the spiral-bound notebook’s pages were gun-wielding stick figures blowing away other stick figures. The source said the package had been in the mailroom since July 12, though another source who confirmed the discovery to FoxNews.com could not say if the package arrived prior to Friday’s massacre. It was not clear why it had not been delivered to the psychiatrist. The notebook is now in possession of the FBI, sources told FoxNews.com. Both sources said the intended recipient of Holmes’ notebook was a professor who also treated patients at the psychiatry outpatient facility, located in Building 500, where the first suspicious package was delivered. It could not be verified that the psychiatrist had had previous contact with Holmes.